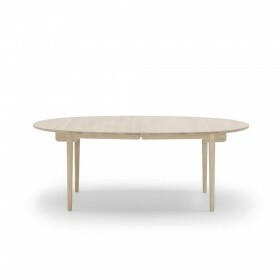 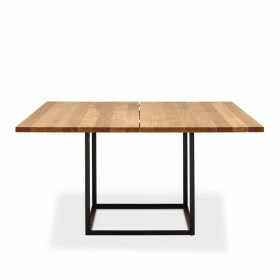 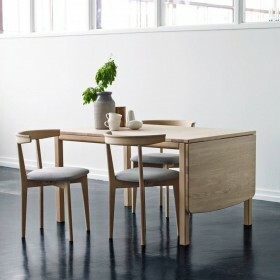 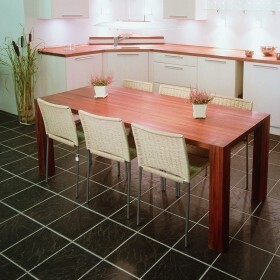 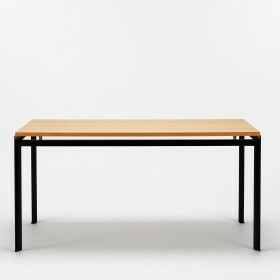 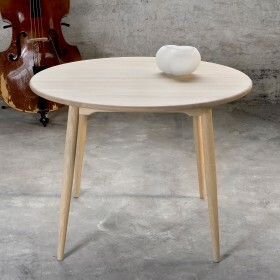 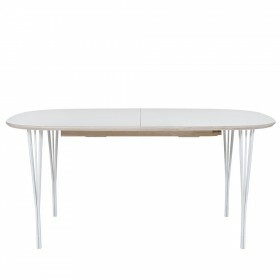 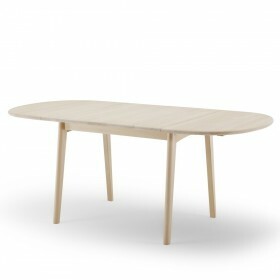 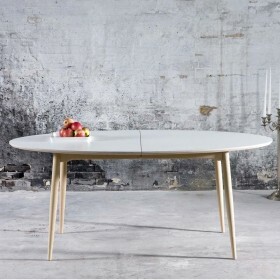 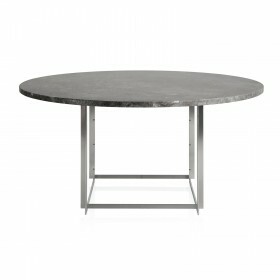 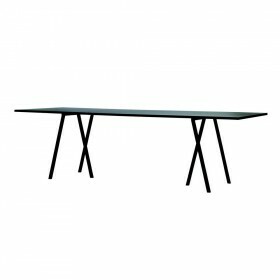 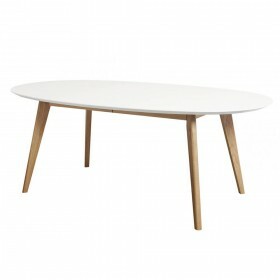 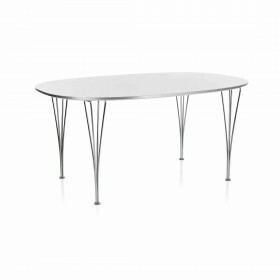 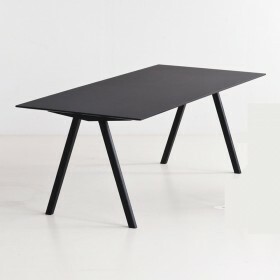 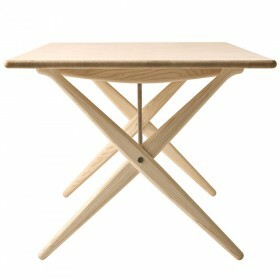 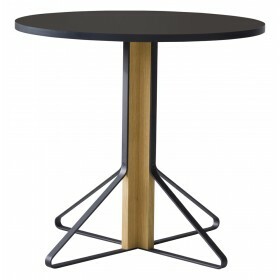 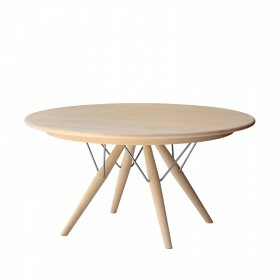 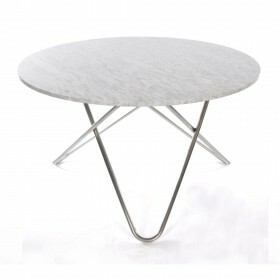 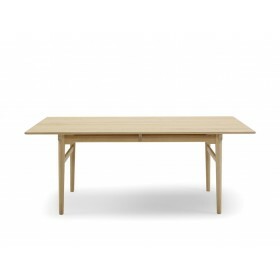 The Corian table has a sober and elegant scandinavian design. 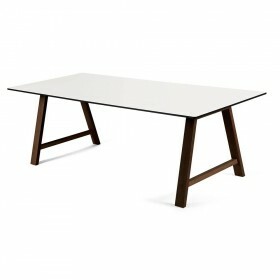 The frame is made of solid walnut and the table top of white corian (30 mm), the table is extensible thanks to a butterfly extension made of white corian as well. 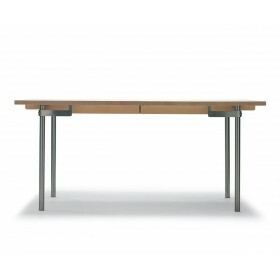 The extension is hidden under the tabletop and glides on rails when the rolling side legs opened.